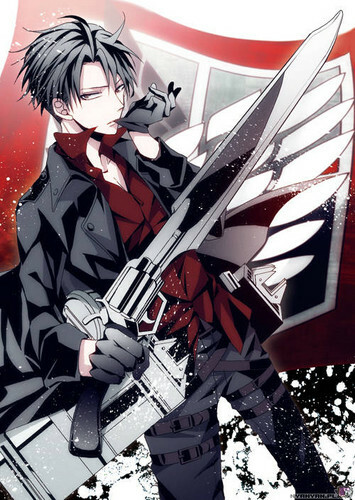 ☤SnK☤(Levi). Rivaille. Wallpaper and background images in the Shingeki no Kyojin (Attack on Titan) club tagged: shingeki no kyojin. This Shingeki no Kyojin (Attack on Titan) fan art contains schütze. There might also be green beret, besondere kräfte, elitesoldaten, grüne barett, spezialeinheiten, elite soldat, elite-soldat, anime, comic, manga, cartoon, comic buch, karikatur, and comics.